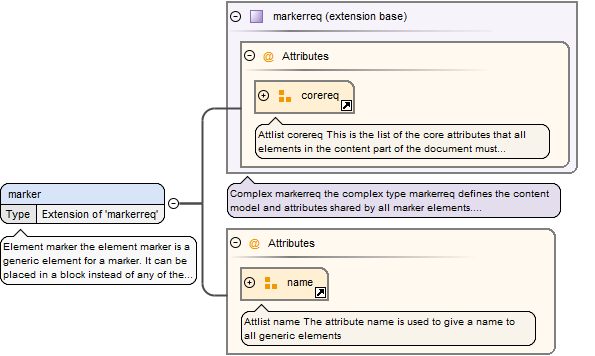 the element marker is a generic element for a marker. It can be placed in a block instead of any of the other markers. The attribute name is required and gives a name to the element.